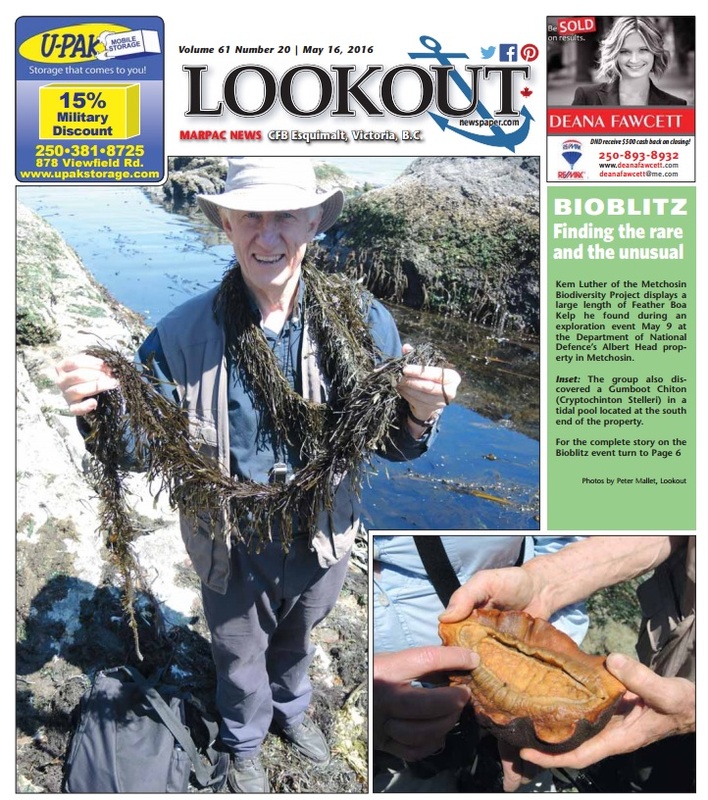 For 2016, the Metchosin Biodiversity Project divided the Metchosin BioBlitz into two different kinds of events. 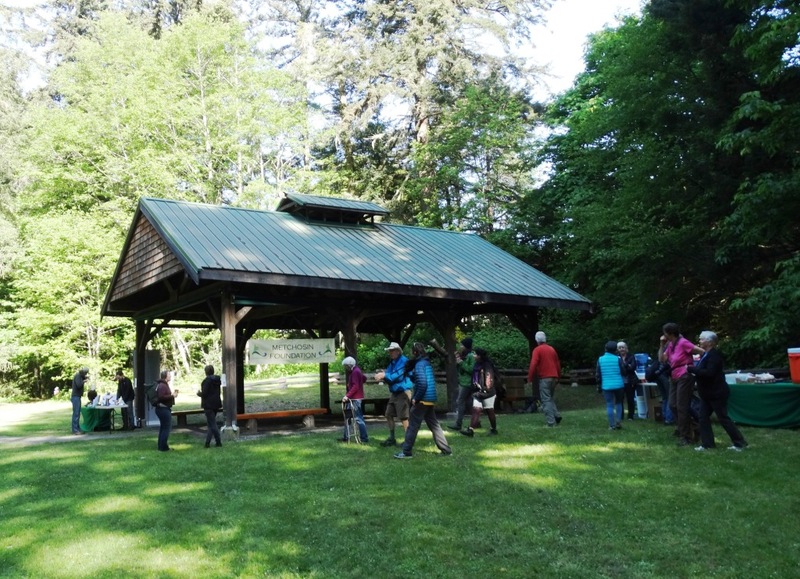 One event was a public celebration, Metchosin Biodiversity Day, with walks and talks and displays. The second event--actually a series of events--was a targeted inventory of special species groups and special places. The inventories, which included our annual MycoBlitz, happened throughout 2016 and involved a number of invited experts. Here are descriptions, in reverse chronological order, of Biodiversity Day and the other 2016 forays. In an October article this year, the Victoria Times-Colonist highlighted the significance of biodiversity in our region. "The B.C. Conservation Data Centre lists 1,649 species as extirpated, endangered, threatened or of special concern. Among those, 210 are in the capital region." 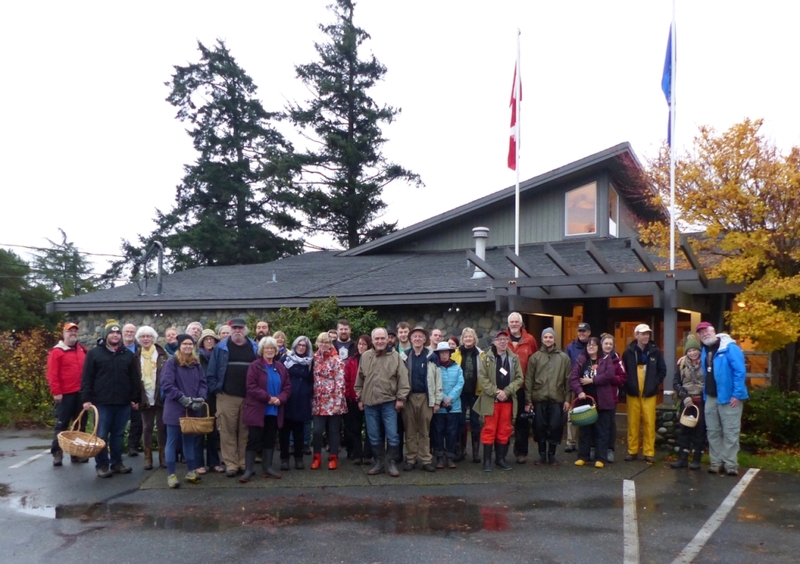 The Fourth Metchosin MycoBlitz took place on Saturday, November 5, capping off the Metchosin Biodiversity Project's 2016 inventory work. A group of about 40 experts and helpers, all volunteers, came out to help. 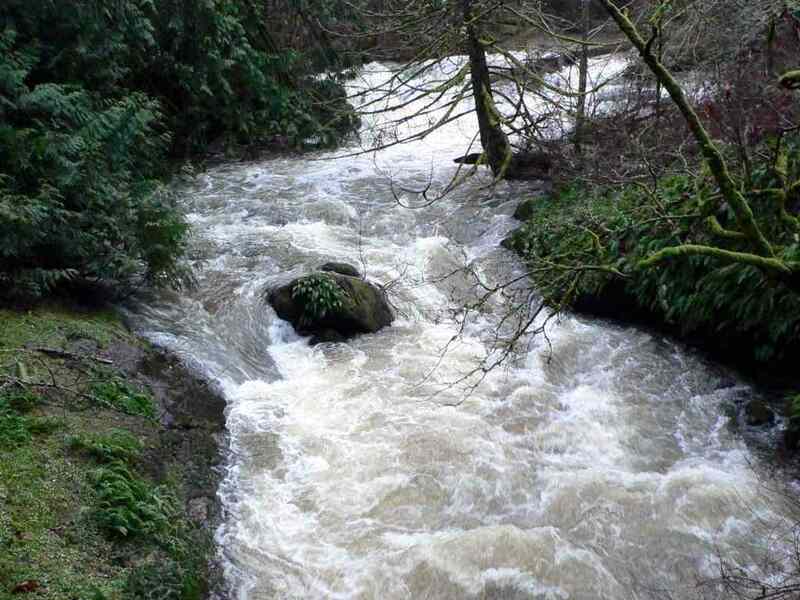 At 9:00 am on Saturday, the nine mycology specialists were assigned to three different Metchosin properties--Pearson College, Blinkhorn, and Camp Thunderbird. The helpers joined a team and headed out to foray for the rest of the morning. At noon they brought their fungal discoveries back to the headquarters at the Metchosin Council Chambers and laid them out on tables. The experts began to label the mushrooms. Most of the helpers went to Metchosin Community House to watch the 1963 classic Attack of the Mushroom People. Britt Bunyard served as our invited expert and speaker again this year. On Friday, the night before the foray, Britt gave a talk to a packed audience in the Metchosin Council Chambers on "Mushroom stones to stoned apes: the origins of the fungi," an overview of fungi and what we know and don’t know about the origins of the Fifth Kingdom. From 2:00 pm to 4:00 the MycoBlitz headquarters at the Council Chambers was open to member of the public. Laid out and labeled on the table were 115 different species of mushroom (view the list). Of these, 21 species were entirely new to Metchosin MycoBlitz/BioBlitz records, raising the count of Metchosin organisms to 2319 species. Amanita phalloides, the deadly Death Cap mushroom. Photo taken in Victoria by Britt Bunyard. 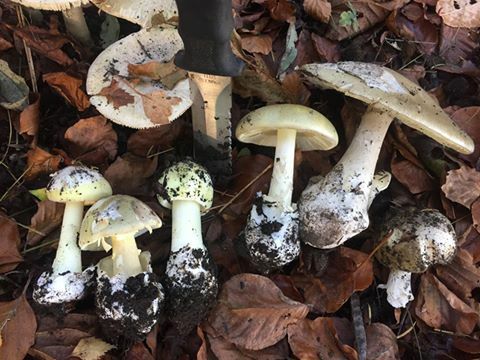 The mushroom community was saddened this year to hear about the first BC fatality caused by consumption of the Death Cap mushroom, a European introduction that has been making its way into urban centres in North America. So far, the mushroom has not been spotted in Metchosin. You can see pictures of some of the mushrooms and some of the people at our 2016 MycoBlitz on this page. 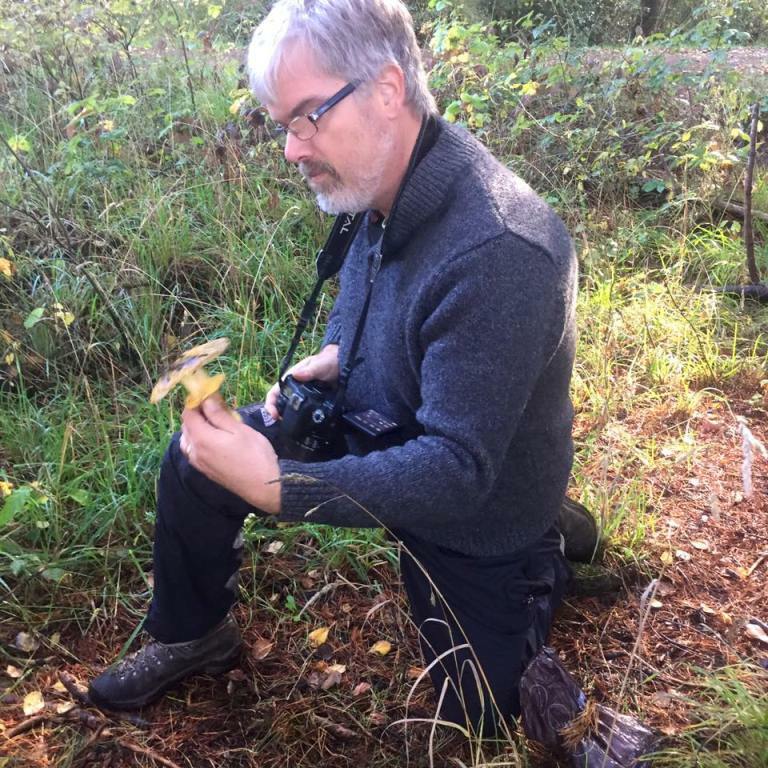 Luke Mikler also has some pictures on his web site.A big thanks to all those who contributed and helped with this year's MycoBlitz (A special thanks to Joel and Karen Ussery, Moralea Milne, and Mairi MacKinnon for their behind-the-scenes help.). The Metchosin Biodiversity Project acknowledges the generous support of the Metchosin Foundation and food donations from the Royal Bay Bakery. The Metchosin species count from the BioBlitzes edged upward, to over 2300 species, in May of 2016. The recent jump in numbers was due to a pair of targeted blitzes held on May 9 at the William Head Institution grounds and the DND Albert Head properties. Attending these bioblitzes were a number of local taxonomy experts. Here are some pictures of the team at work. And here are the results: Albert Head (by scientific name and by species) and William Head (by scientific name and by species). The experts were escorted by local personnel at the two restricted-access properties. There were staff guards at William Head Prison and ecology support staff (Andrea Schiller, Erica Wheeler) at the DND property. Peter Mallet, a writer for the DND news magazine Lookout, also accompanied the team at Albert Head. The event became the cover story for the May 16, 2016, Lookout magazine. You can read the story here (it is on page 6). The tidal area team, which included Phil and Marilyn Lambert and Garry Fletcher, identified 160 different species. 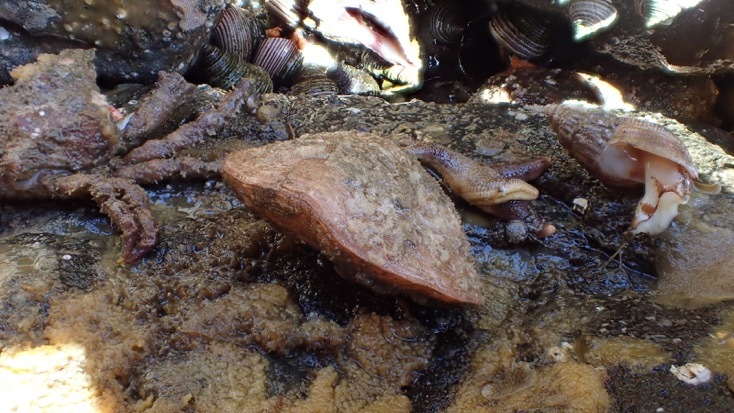 Fifteen of these species had not been recorded by the previous bioblitz intertidal teams. On this web page you can enjoy a number of pictures of their finds. The insect/spider team of Darren and Claudia Copley and Robb Bennett had another incredible day. Without even setting out their traps ahead of time, they managed to find 130 different species—one for every three minutes they were in the field! Many of the species, of course, had to be taken back to the lab and painstakingly analyzed before they knew what they had. In the end, almost 40 of their species turned out to be new to the bioblitz database. James and Kristen Miskelly, part of the plant team (better to say “part of the everything team” — this couple has an encyclopedic knowledge of a wide range of species groups), tallied about 200 species for the May 9 bioblitz. 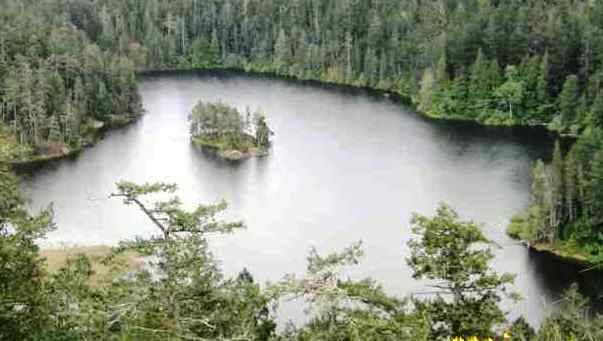 Ten of them had not been found at the Metchosin bioblitzes. They included grasses, sedges, rushes, and forbs. Here are pictures of some of the plants seen during the day. Ryan Batten formed a one-man lichen task force. His tally for the day was 125 lichens species. This he says, is a “meagre” result. This number may be small potatoes at the annual meeting of the ABLS (American Bryological and Lichenological Society), but in Metchosin it’s a significant day’s work. Among the lichens on his list were nine new additions to the Metchosin lichen count. And one new plant, a rush. 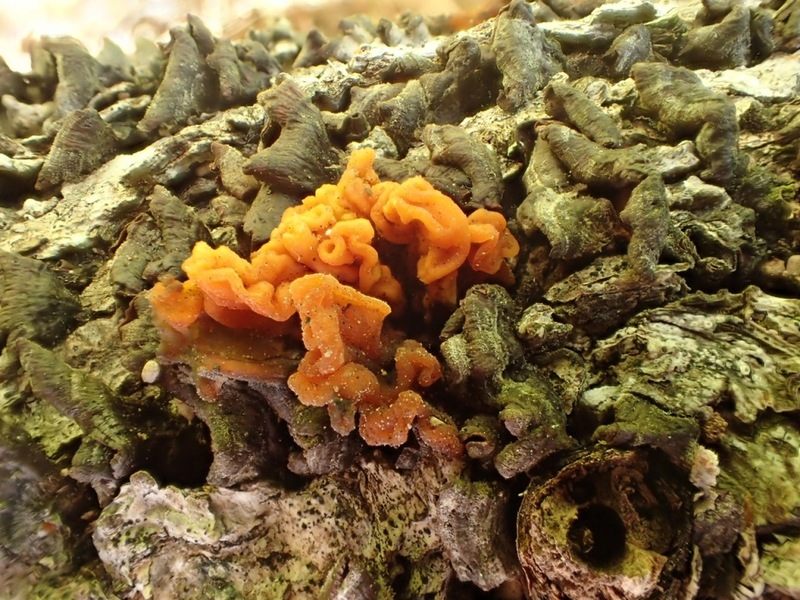 The fungal team, Adolf and Oluna Ceska, sometimes aided (and occasionally hindered) by Kem Luther, found a number of new fungi. 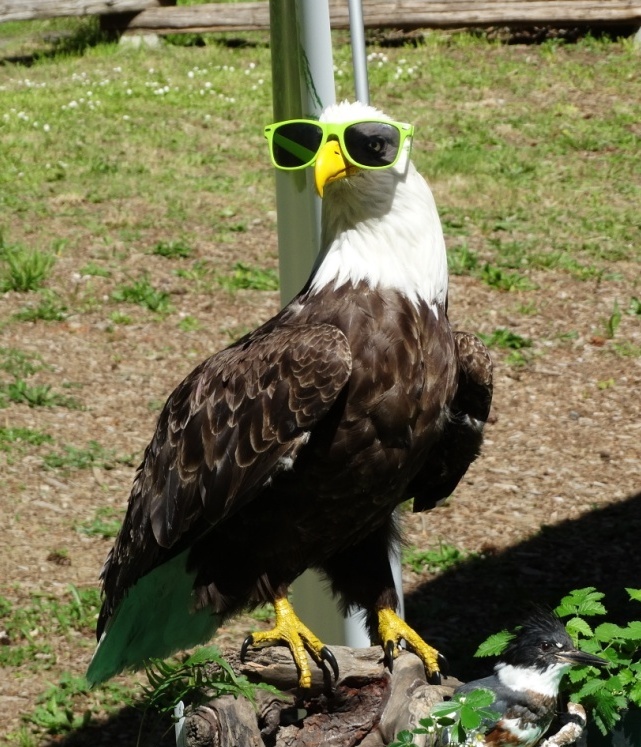 Some of their additions to the bioblitz lists have been delayed, alas, by a computer crash at the Ceska’s home. 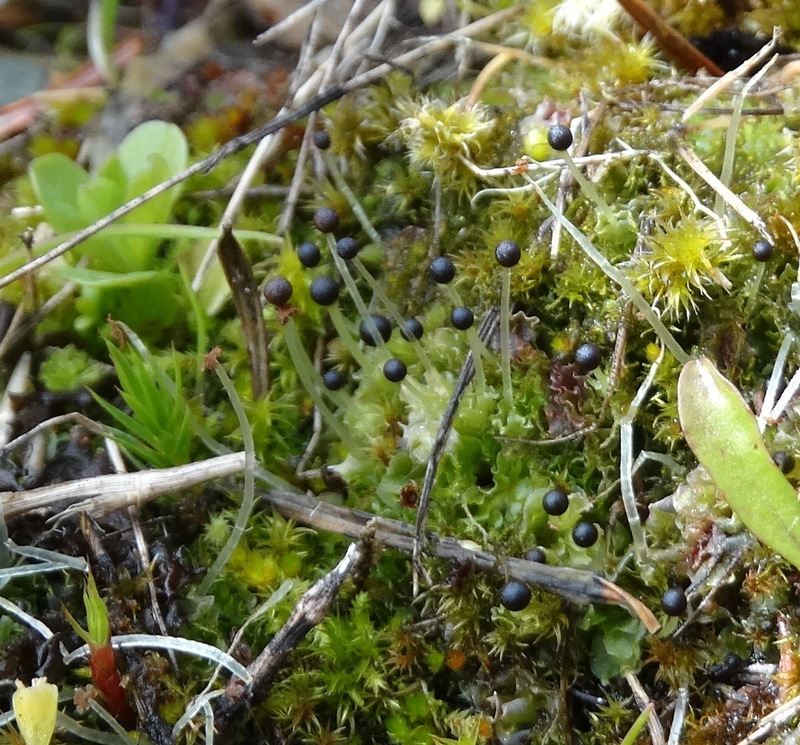 In the meantime, here are pictures of some of the mosses seen by Kem on May 9. One of the foray's large finds was a very small plant. Working on their hands and knees in a wet meadow at Albert Head, the team came across Juncus kelloggii, a rush, one of BC's rarest plants. It is federally and provincially red-listed. At the time the COSEWIC report on the plant was filed in 2003, it was known in BC from only one population, in Uplands Park. 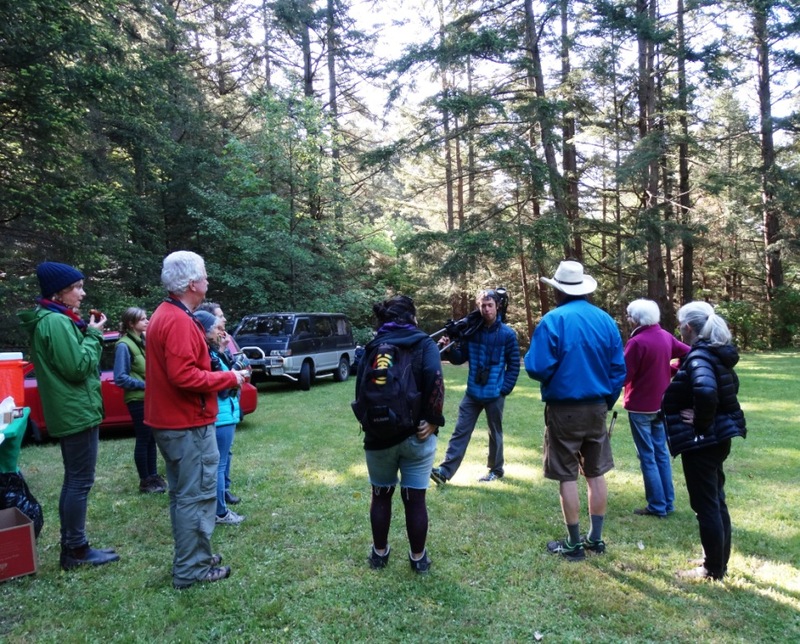 Mechosin residents enjoyed their first Metchosin Biodiversity Day on the last weekend in April. The weather was ideal. Over a hundred people came by the biodiversity centre at the Witty's Lagoon teaching shelter. The weekend event began on Friday night when guests met at the Metchosin Council Chambers to hear Christian Engelstoft, a contract biologist with Habitat Acquisition Trust, tell us about some of the most furtive animals of Metchosin, the bats and owls. 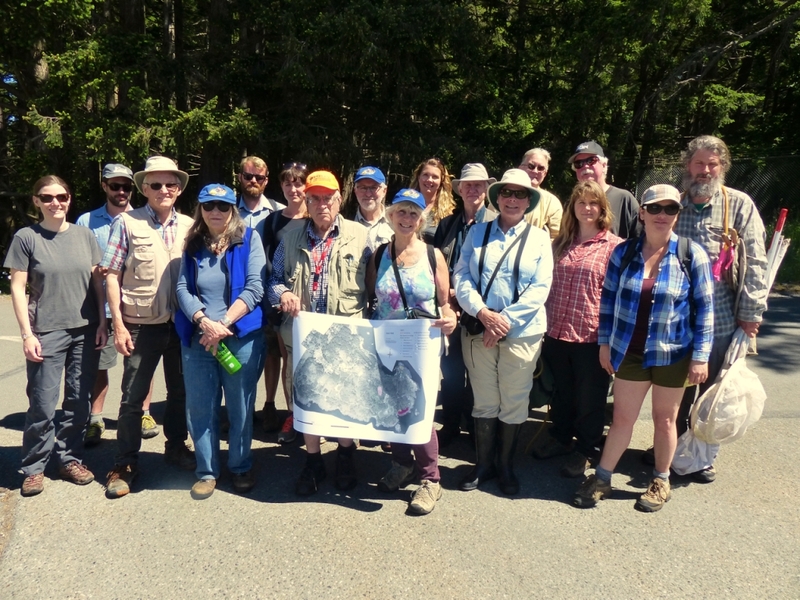 On Saturday, April 30, a dozen or so birders, ranging from experienced birder to novice, joined Ian Cruickshank, one of our regions best bird experts, on a bird-spotting walk. Ian once again displayed his uncanny ability to identify unseen birds from the meerest "cheep" in the bushes. More guests arrived at 10:00 am. 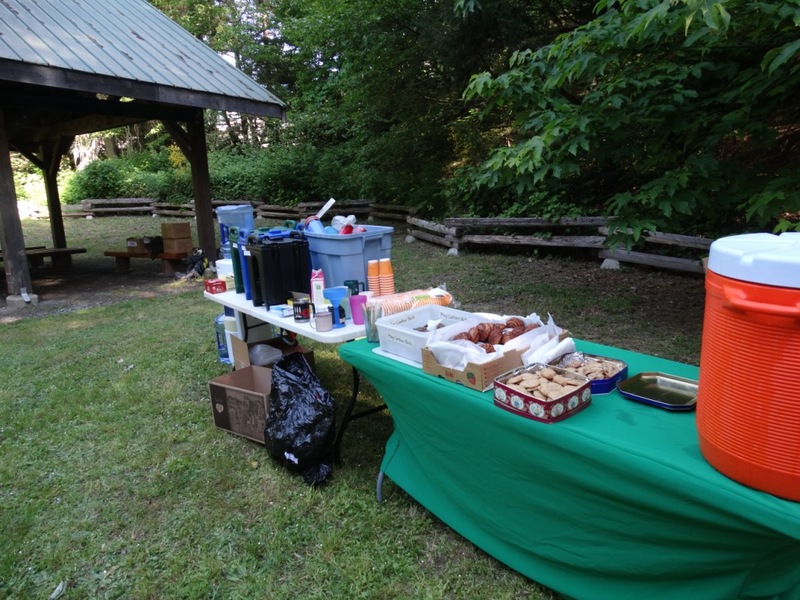 A wide range of drinks and snacks were laid out (including a batch of Martha Haylor's cinnamon buns) to fortify people for the morning walks. CRD Parks staff had displays set out for people to see. The button machine, which made metal buttons out of nature pictures, was a big hit. Three groups soon headed out to sample the wares of Witty's. Joel Ussery took one of the groups to see the salt marshes. Kem Luther's group circled the teaching shelter to look for mosses, mushrooms, and lichens. Sean Rangel led his group toward the beach to view the ecosystem changes from the Witty's parking lot to the beach. The morning walks wrapped up around noon. The volunteers ate bag lunches and prepared for the next influx of visitors for the 1:00 pm walks. When they arrived, Andy took a dozen people to look at wildflowers. Another group, let by Mistress of Slime Kristiina Ovaska, searched for slugs and snails, many of which were in hiding because of the warmer, drier weather. Sean Rangel redid his ecosystem walk for a new batch of visitors. While the groups were away, several groups of Witty visitors stopped by the CRD displays and helped to finish off the snacks. The second of our targeted BioBlitz events of 2016 took place on Friday, March 18, at Matheson Lake CRD Park. Kem Luther accompantied a team of three experts--Hans Roemer, Ryan Batten, and Gerry Ansell--on a lichen survey of Matheson Lake CRD Park. The team found about 120 lichens. 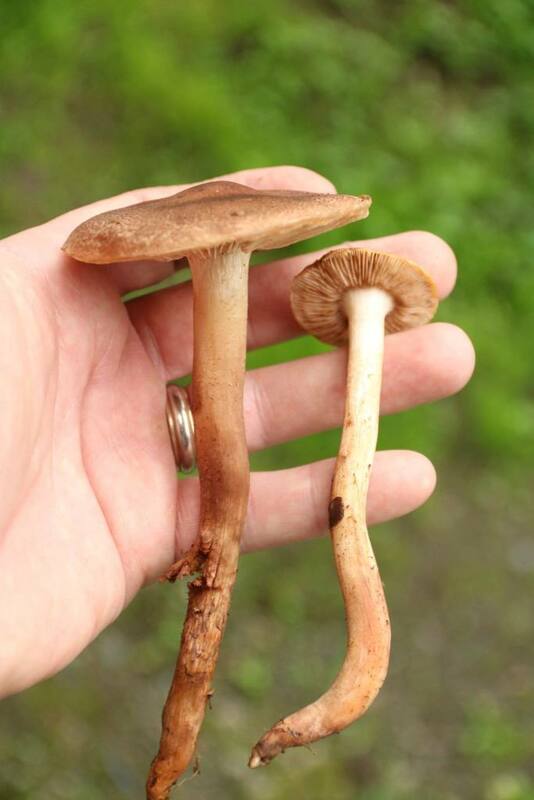 Of these, about 30 were new to the Metchosin bioblitz database. They also found 10 mosses and liverworts that had not been recorded for Matheson Lake Park. The current list of Matheson Lake CRD Park mosses, liverworts, lichens, and mushrooms now contains about 70 mosses, 20 liverworts, 120 lichens, and 80 mushrooms. 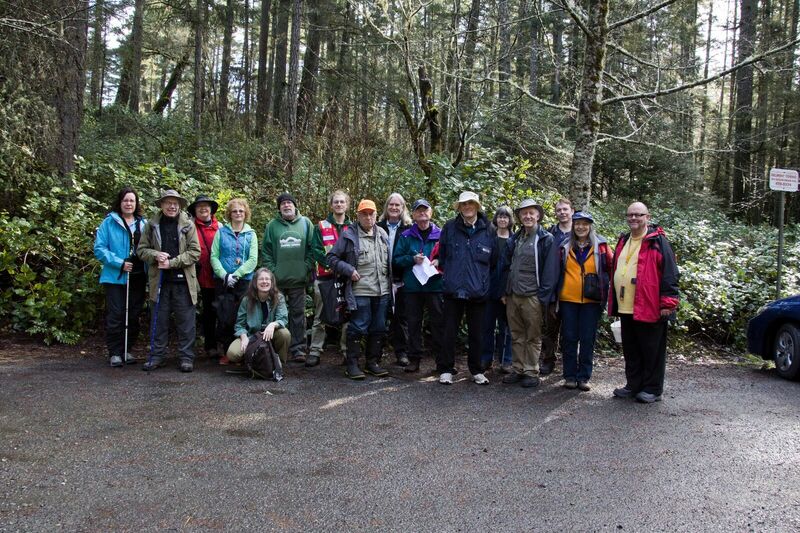 The bioblitz survey group traversed several of the Matheson Park paths, including the trail to Cougar Bluffs. The bluffs give hikers unrivaled views of the park. They also open up the opportunity to find several taxa not found in the rest of the park.The steep slope just below the ridge weeps a steady stream of water in the spring and the seepages provide habitats for an unusual array of mosses, liverworts and lichens. One of the Pacific Northwest liverworts that enjoys seepage habitats on cliffs is Fossombronia. Without its tall setas and round spore cases, Fossombronia would be difficult to spot: the thallus lies along the ground and dies back in warmer weather. Fortunately, this species almost always has sporophtyes in the growing seasons. Lichen species can be extremely widespread. One of these circumboreal lichens, Mycoblastus sanguinarius, can be found among the original 80 lichen species recognized by Linnaeus in the first edition of his Species Plantarum (he called it Lichen sanguinarius). The bioblitz search team saw this species on the trees in Matheson. There is a chemical in the base of its apothecia that presents a blood red color (thus the species epithet sanguinarius), especially when the spores above it have been grazed by snails. Draped on the tree branches that extend over the waters of Matheson Lake are the Ramalina lichens. The one pictured here, Ramalina menziezii, is aptly called both the Fishnet Lichen and the Lace Lichen--the threads of this lichen form a fine matrix that resembles a net. Recently declared the state lichen of California, Ramalina menziesii contributes nitrogen to the local ecosystems and often serves as a browse for mammals (when they can reach it). The first of our targeted BioBlitz events of 2016 took place on Saturday, March 5, at Matheson Lake CRD Park. 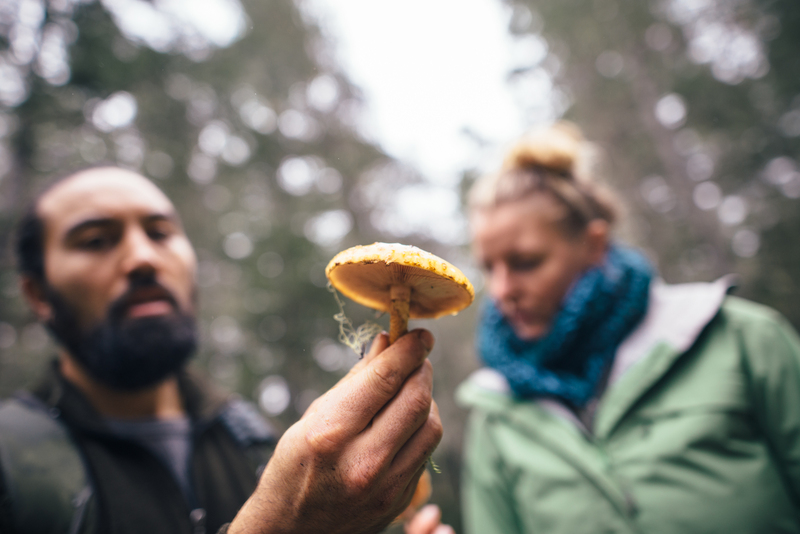 SVIMS, the Southern Vancouver Island Mycological Society, held a spring mushroom foray, led by Oluna and Adolf Ceska. 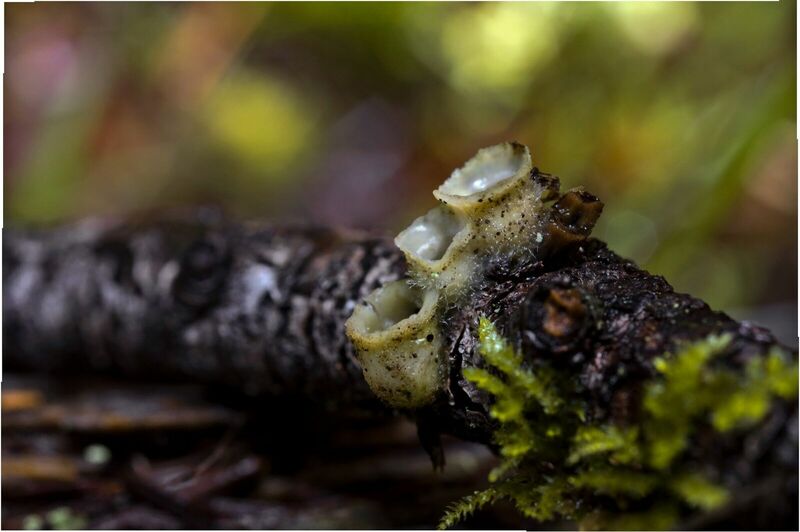 The Metchosin Biodiversity Project has now recorded 400 different species of fungi inside the borders of the District of Metchosin. A group of about 20 searchers worked their way along the path at the southern shore of Matheson lake. They found 27 different kinds of fungi. Of these, 6 were new to the Metchosin Biodiversity Project database--they had not been recorded in Metchosin before. 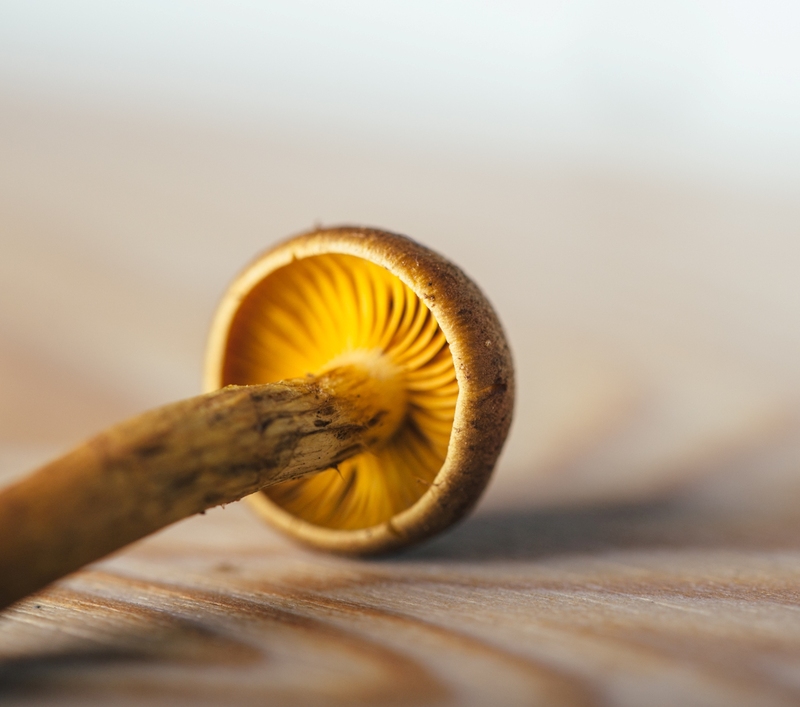 The new fungi were Clavulina rugosa, Lachnella alboviolascens, Marasmius androsaceus, Mycena tenerrima, Nematogonum ferrugineum, and Tremellodendropsis tuberosa. One of the foray members turned up a prime specimen of Hysterangium separabile, a false truffle. References report this mushroom to have a slightly fruity, sometimes pungent, odor. This particular specimen had a strong smell of horseradish. One of the bird's nest fungi, Nidula niveotomentosa, has a white, turned-out rim and the outside of the "nest" is covered with small white hairs. 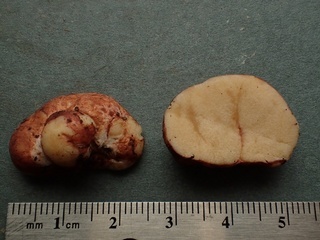 This specimen had already discharged its "eggs" (spore cases). 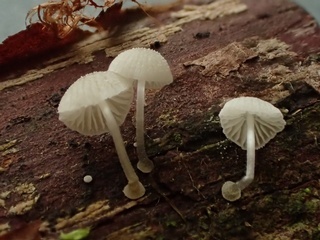 Mycena tenerrima is a small (cap about 2mm) mushroom often found after wet weather on fallen branches. When it is young, the cap has granules on the top that look like grains of sugar.